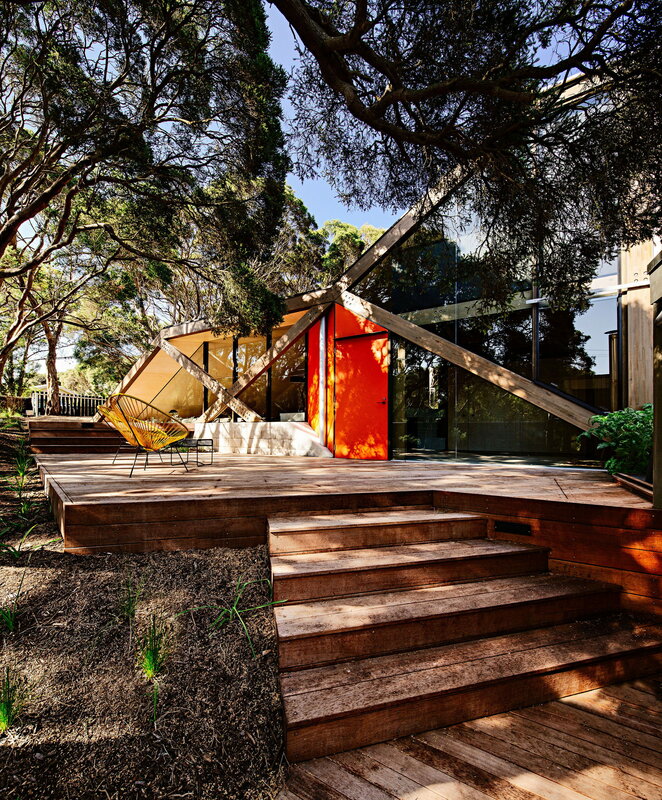 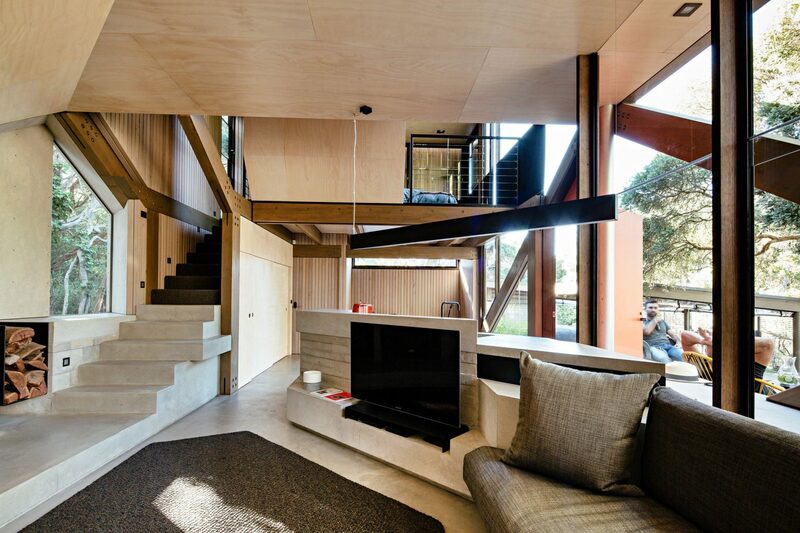 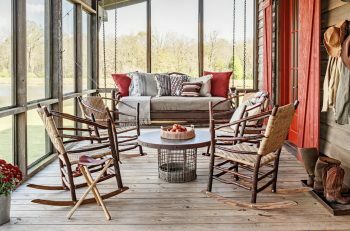 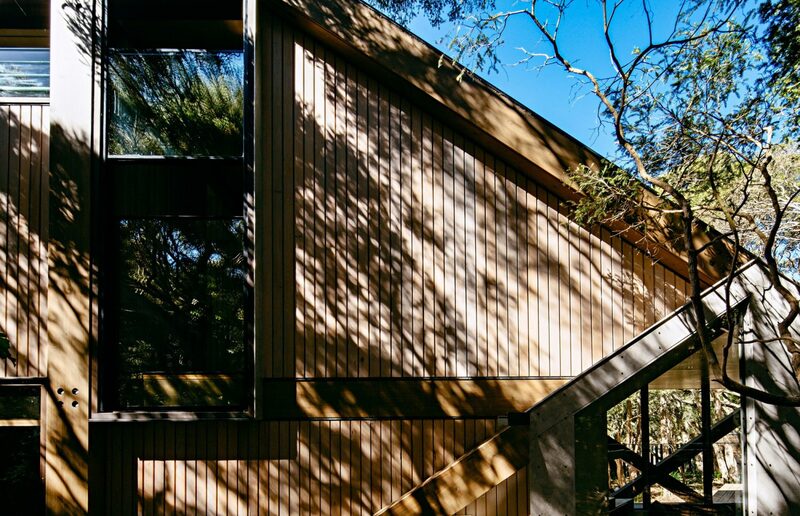 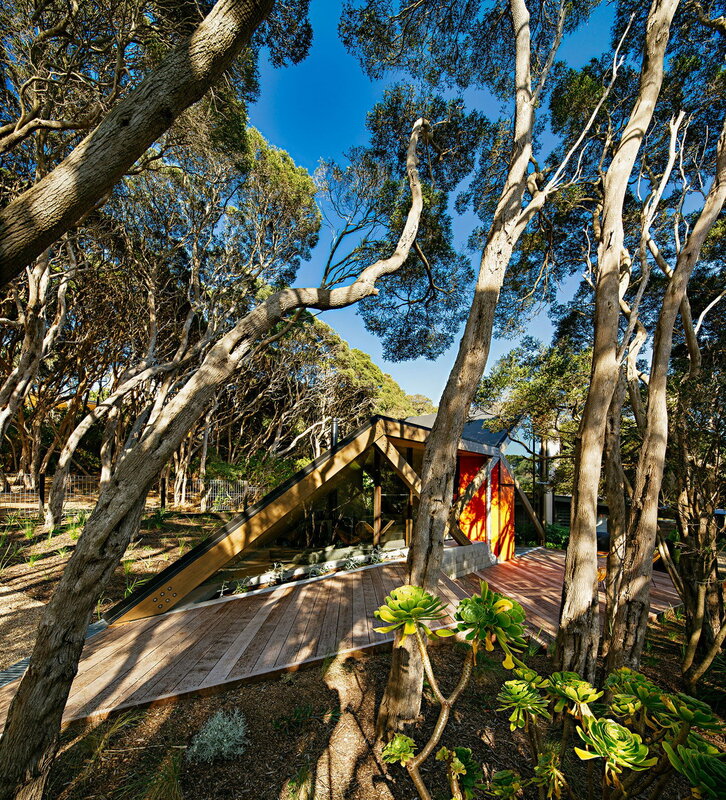 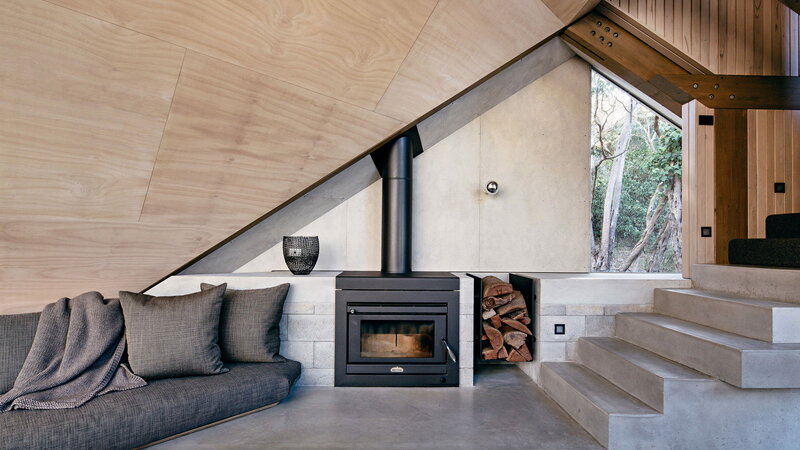 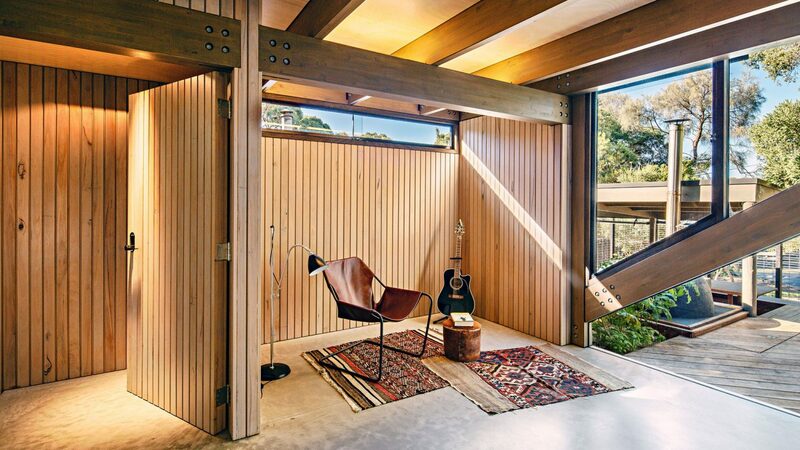 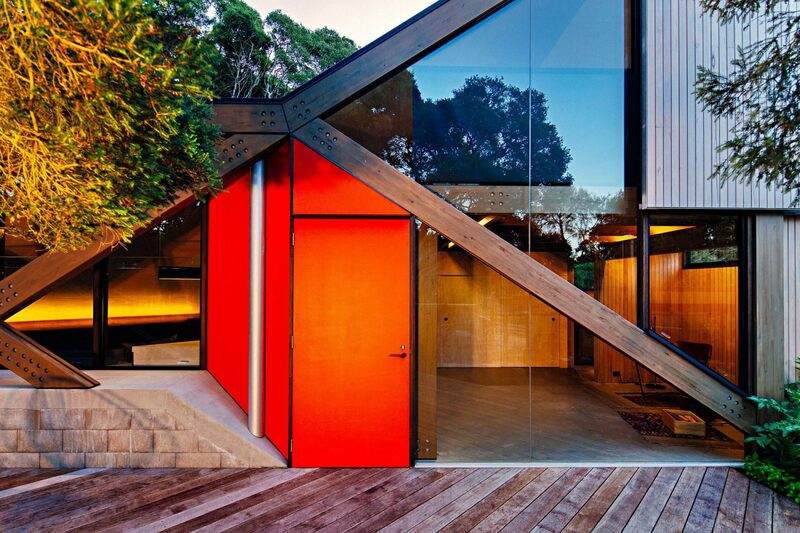 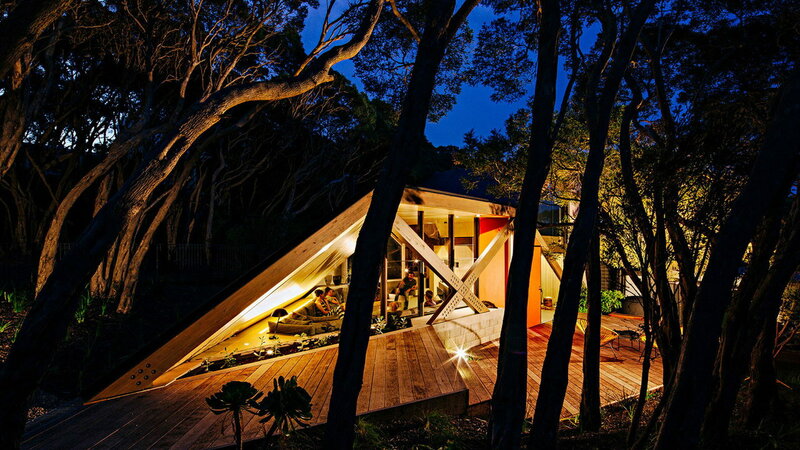 Located in the Australian coastal village of Blairgowrie, Cabin 2 is an extension of an existing 1960s log cabin. 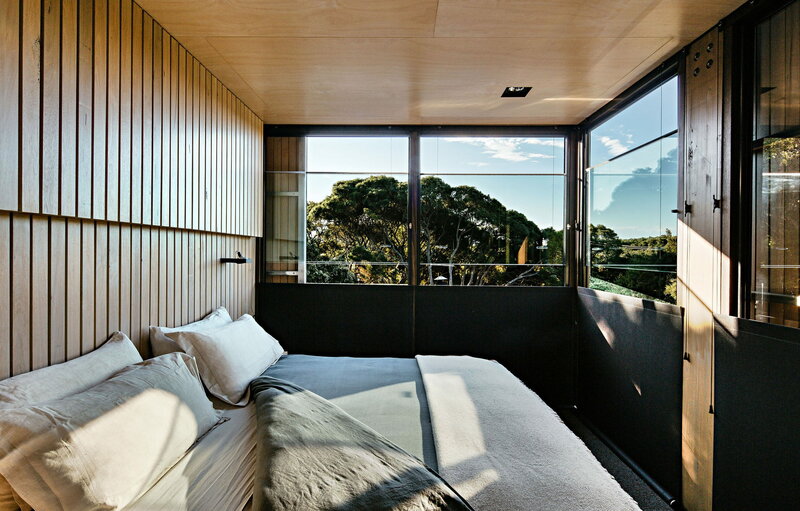 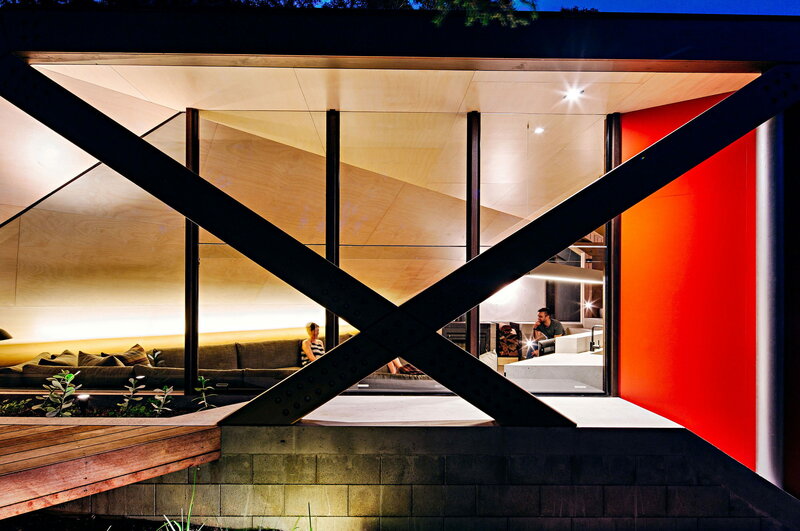 Designed by Maddison Architects in 2013, the house measures 110m² (1,184ft²). 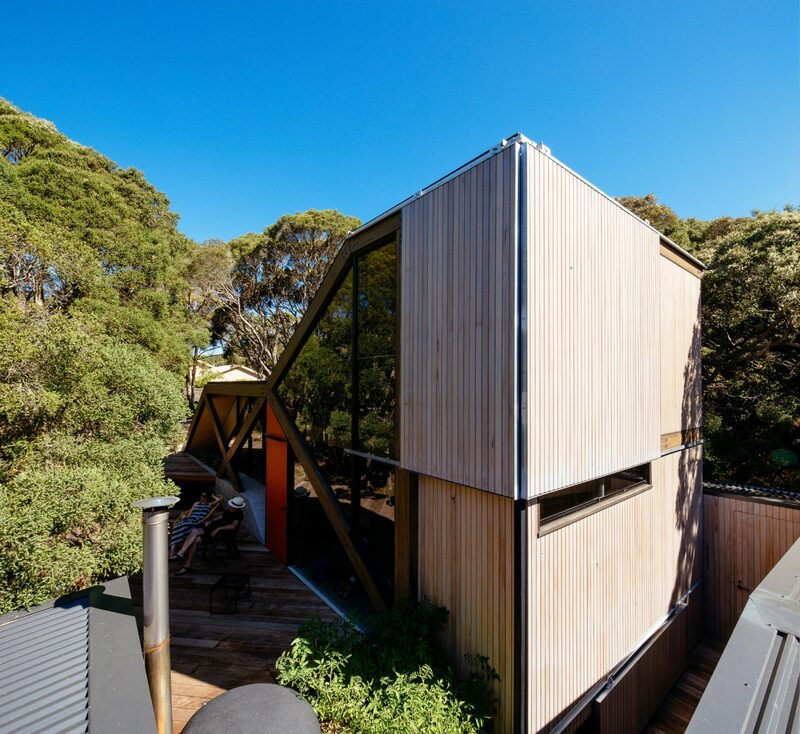 The existing cabin has two bedrooms, a bunk room, kitchen/living area and bathroom. 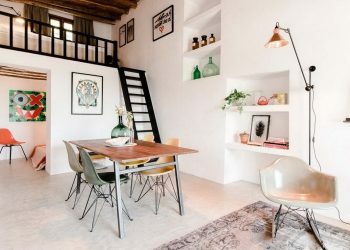 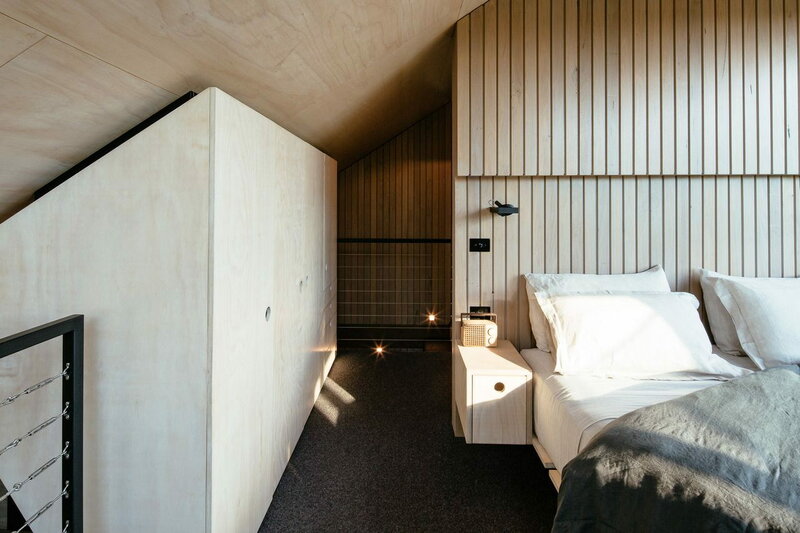 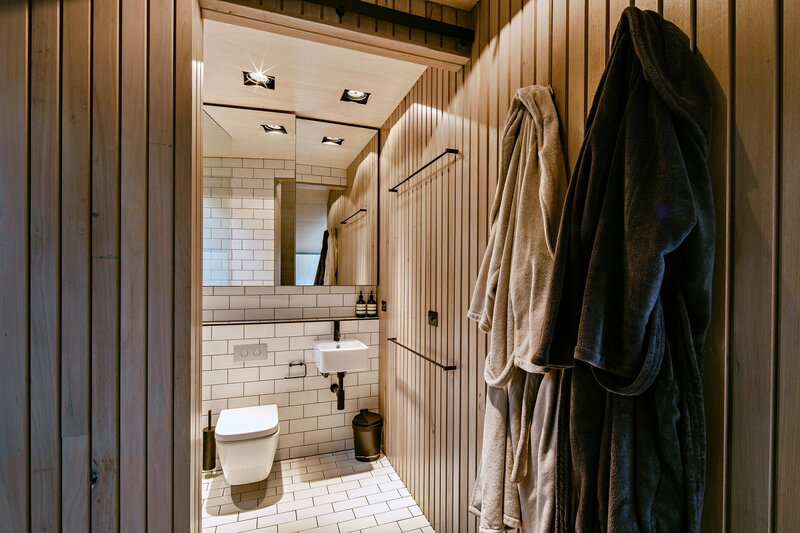 Cabin 2 provides a new bedroom and ensuite at mezzanine level, a ground floor living space, kitchenette & concealed study and additional northern deck area. 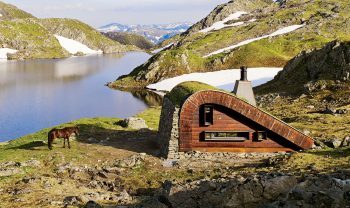 The new architecture is informed by and embedded into the landscape. 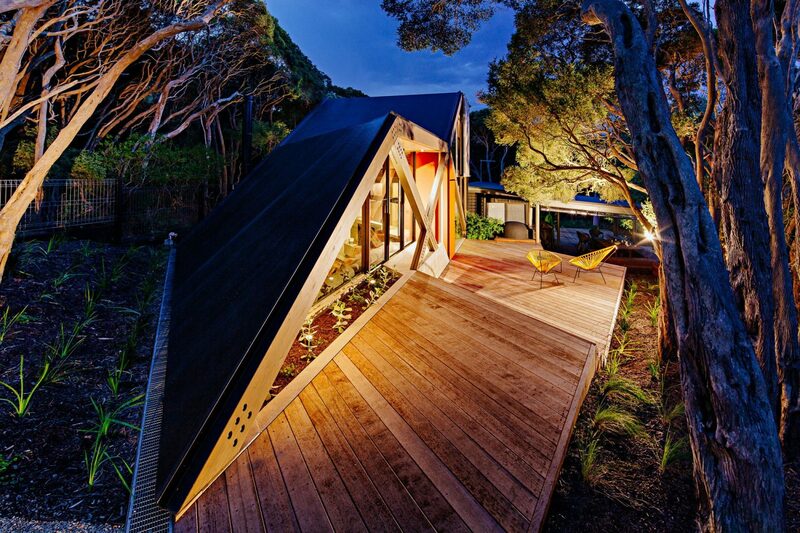 The folding roof grows out from the topography to act as a new type of landform. 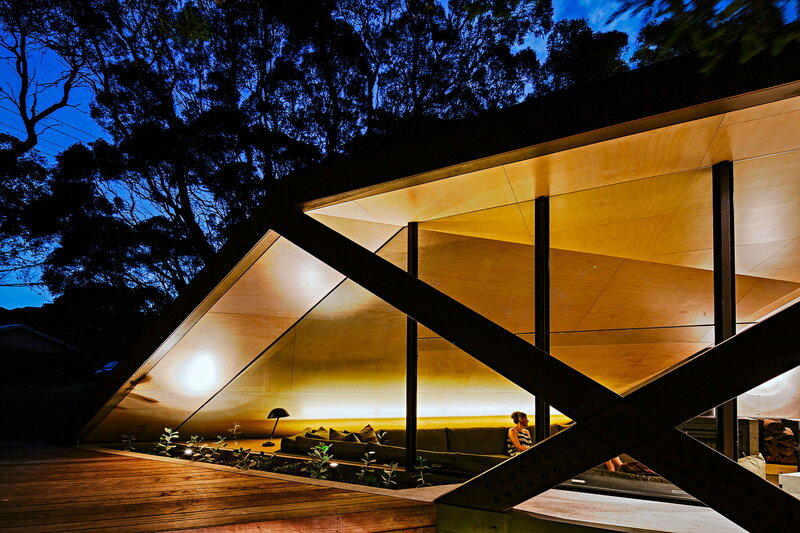 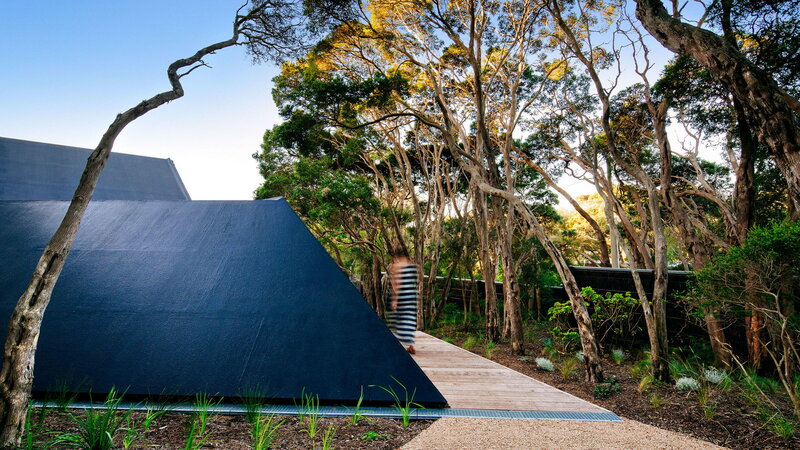 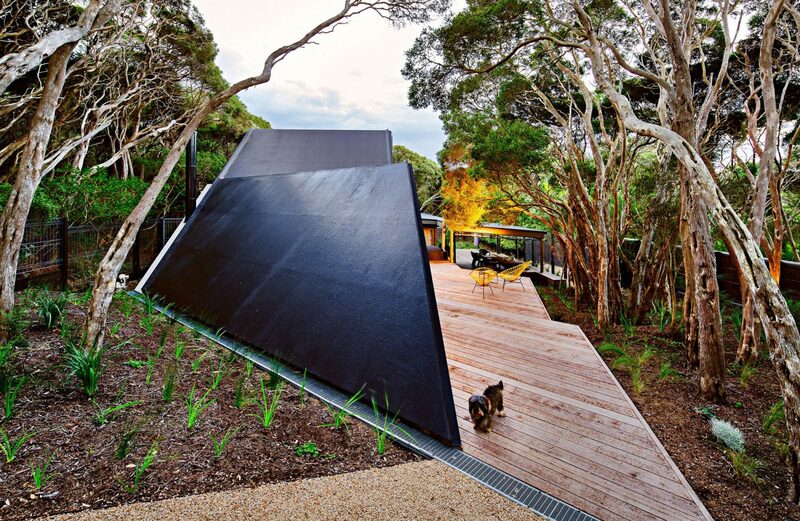 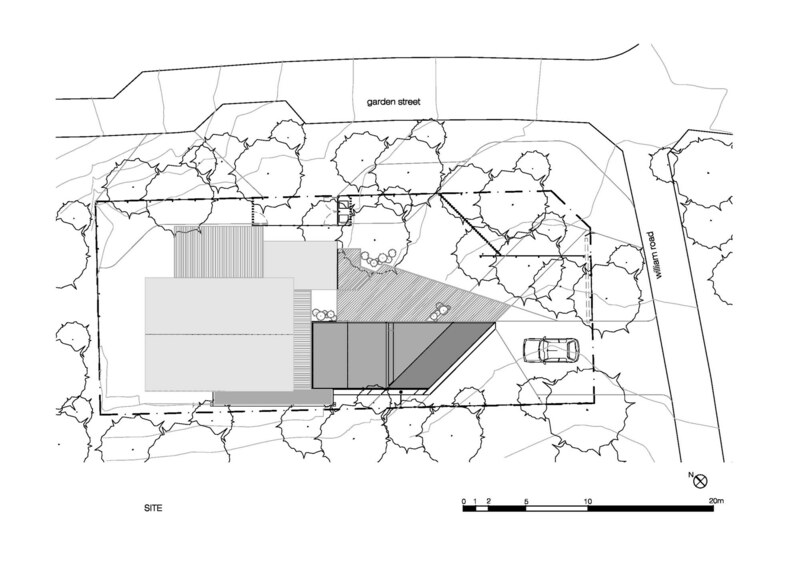 This bituminous membrane wall/roof plane and its supporting pre-fabricated skeletal timber frame appear influenced by the prevailing wind forces shaping the surrounding contorted Moonah trees.